remediation straight from the palm of your hand! Stop buying ADA compliance software that just delivers you an end 'report'. What good is a report if you don't know how to turn it into actionable information? We match your inspections and findings with workflows downstream like maintenance to help fix those compliance issues before they result in lawsuit. 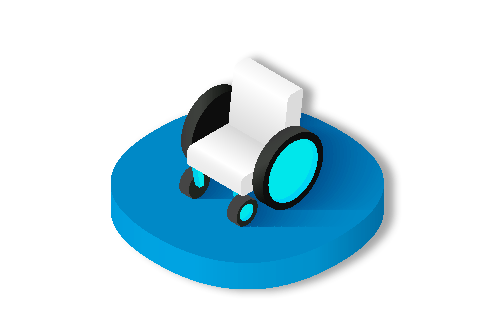 We can get your team up and running in a matter of days, even if they aren't ADA compliance experts. Get your organization off paper or some complicated tool so your team is more efficient, smarter and is empowered to reduce risk. Raxar Technology is proud to deliver a robust and intuitive solution for all types of organizations to make it simple to stay in compliance with Title I, Title II, Title III, outdoor, and state regulated standards. 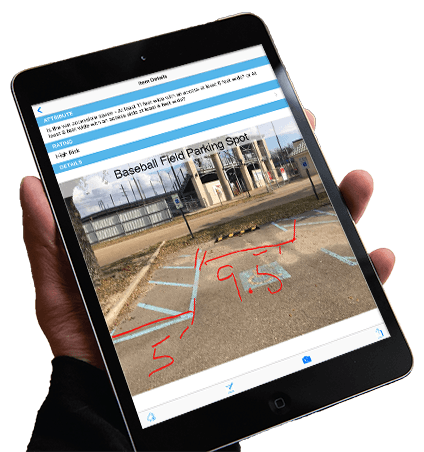 Collaborative and easy-to-use, Raxar offers an efficient and effective way to manage your inspections, findings, final reporting for budget analysis, and downstream remediation of issues with teams like maintenance from the office or on the go. 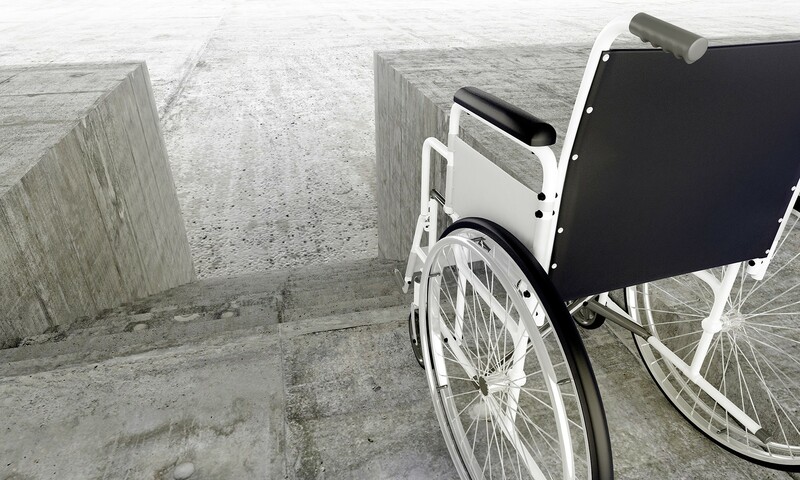 Any person in charge of ADA compliance for a large organization knows that ADA inspections are traditionally pushed to the wayside due to being time-consuming, overwhelming and require manual processes with the end result of a complicated report that's not actionable. The good news is those days are over. Raxar's ADA compliance software is an innovative mobile platform that delivers reports faster and streamlines field inspections to make ADA compliance as quick and easy as possible, for even non-ADA experts. 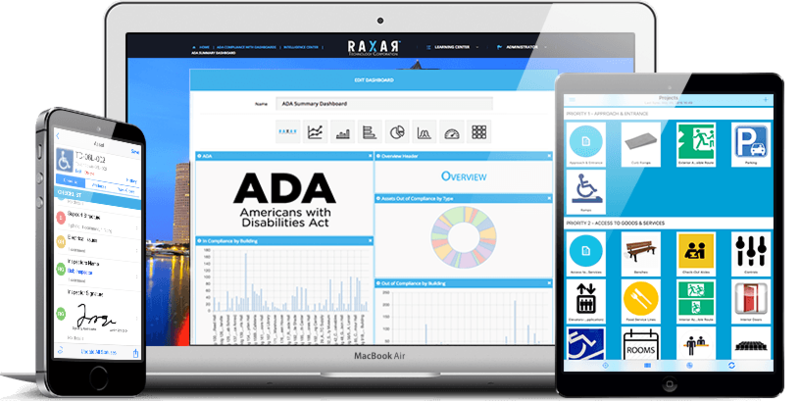 Raxar's ADA compliance system provides organizations of all sizes with a simple way to manage and maintain all aspects of ADA compliance including identification of issues, location tracking, reporting and remediation. With increased transparency across the entire process, automated reporting and an ability to prioritize your remediation efforts, our ADA compliance software will ultimately save your organization both time and money. How Raxar can help your ADA compliance? Give it a try to see and feel the difference yourself! The Raxar ADA compliance software can be utilized through every stage of your initiative to get into ADA compliance, aiding your organization from inspections, identifying issues, doing your reporting, all the way through maintenance and remediation for cost tracking. Watch the proven Raxar ADA compliance system transform your initiative into a well-oiled machine that operates efficiently, reaches goals faster, and delivers reduces your teams risk profile in a tangible trackable manner. ADA compliance software that helps your organization identify barriers, tag their locations and track them all the way through remediation. Learn more about the tool that is build for everyone from executives to non-ADA experts to reduce risk profiles and make field data collection easy. 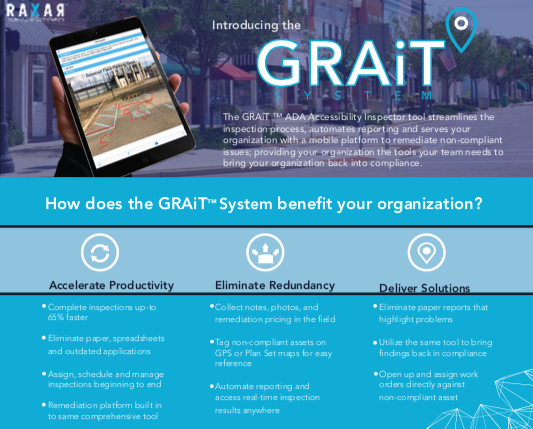 Learn more about how one organization was able to inventory and access over 2.6 million square feet across 460 acres in less than 3 weeks by utilizing our ADA compliance software.